Do I think it’s wise for you to pay off your mortgage early? You may as well ask me if I think it is a good idea if you paint your living room sage green. For many years I believed that paying off your mortgage was an absolute no-brainer. Then I did a complete 180, changing direction like one of those day-glo orange heliport windsocks. After resurveying the macroeconomic condition of the United States and trying to interpret the future direction of its fiscal policy, I was ready to declare that maybe, just maybe, prepaying the mortgage isn’t a good idea after all. Suddenly it just didn’t seem like it made much sense to pay down a 30-year $120,000 mortgage at 3.5% interest if I truly believed that high-inflation was inevitable down the road as a result of Fed’s relentlessly lax monetary policy. The question of whether or not I think you should pay off your mortgage is not as cut-and-dried as, say, whether or not I think you should pay off your credit card balances in full each month. Of course you should pay off your credit cards in full each month; but when it comes to paying off the mortgage early, there are solid arguments that can be made either way. Here are 12 good reasons why you should — and should not — pay off your mortgage early. Which ones resonate most with you? 1. You haven’t capitalized on your employer’s retirement plan company match. If you’re not contributing to a 401(k) retirement plan where your employer offers a dollar-for-dollar match on, say, the first 3% of your contributions, then you may want to reconsider — by not taking advantage of that matching contribution, you’re essentially leaving free money on the table. 2. You have debt at a higher rate than your mortgage. It makes no sense to pay off a mortgage if you’re carrying credit card debt at a higher interest rate. When you pay off a credit card with a 15% interest rate, then every dollar of debt you pay off earns you an instant 15% return. 3. You lack an adequate emergency fund. It doesn’t make much sense to be making extra payments on your mortgage if you don’t have at least three months of savings in reserve to withstand a significant financial shock, such as a sudden loss of income due to unemployment or illness, or an unforeseen major expense. 4. You want more financial flexibility. Many people like to have a ready source of funds that can be easily converted to cash in order to quickly react to business opportunities, for example. 5. You owe more on your house than it’s worth. If your mortgage is upside down, the fact is you are more susceptible to foreclosure if you lose your job or suffer some other hardship that prevents you from making your payments. 6. You have a family but lack life, health and disability insurance. If you’re the lone bread-winner in the household, how will the mortgage be paid if you die, suffer a catastrophic health problem, or become severely disabled? 7. You anticipate severe inflation. Inflation is a debtor’s best friend. That’s because inflation erodes the value of money, and when inflation is rising the value of your mortgage debt falls over time. 8. You’re confident you can get better returns elsewhere. Let’s say you have a mortgage with an interest rate of 5%. But in reality the effective, after-tax interest rate on your loan is less than that. If you’re paying, say, 25% of your household income to federal and state tax collectors, then your effective interest rate is 25% less than the original 5% — or only 3.75%. If the number is low enough, you may feel you can earn bigger returns elsewhere. 1. You want peace of mind. How do you sleep at night? I know more than a few people with paid-off mortgages that swear they sleep like a baby every single time their head hits the pillow. 2. You don’t want a mortgage payment during retirement. What better way to temper the impacts of living on a fixed income than by making sure your mortgage is paid off before you retire? 4. You simply hate the idea of paying interest. 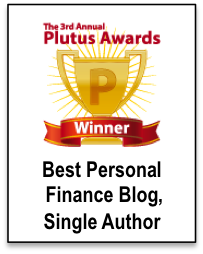 People who have the best grip on their personal finances naturally abhor paying interest. Personally, I hate paying interest. To anybody. For anything. But that’s just me. So, is paying off your mortgage early a good idea? Well … that depends. In the end, the “correct” answer really comes down to which reasons are most important to you. Don’t let anybody tell you otherwise. I appreciate the way you allow us to make up our own mind but spell it all out right there. Yes. Very good analysis. I love the point about tax credits reducing you mortgage rate. It really puts things in perspective. The tax deduction for home ownership has been largely muted, especially for married couples. For a married couple you need a loan of at least roughly $420k before you start to see any tax savings at all. Before a married couple only had to beat $12k in deductions to make itemizing valuable. Now you have to beat $24k and you lose the additive power of personal exemptions. People with kids still catch a break because of the vastly expanded child tax credit is actually more valuable if your mortgage debt was below $420k starting with a 30yr fixed. But single and dink home owners with high value homes got shafted out of at least $12-$20k in deductions. The pros and cons are spot on. This isn’t a no-brainer for anyone, because everyone’s situation is different. And, their needs and goals are different. The only thing that is a no-brainer is Good Reason #2. Retiring with a mortgage or while renting, really puts some stress on a fixed income. Excellent job, as always, Len. A few good points I missed. I like the list approach. @Bret: Up until very recently I was one who was absolutely fanatical about paying down the mortgage and I thought everybody else should too. The longer I’m around, the more I am seeing how both points of view can make sense – it all depends on what we value. @Joe: I thought the list approach was a natural way to tackle this topic. Glad you thought so too. As you know, I was also fanatical about paying it off early and I’m still doing it. Even though it may not make sense to some mathmatically, I just wanted to be mortgage-free by the time I turned 51. I felt that I could make some great lifestyle changes, such as early retirement or going out on my own, if I had zero debt and payments. Now that I am closing in on that goal, I’m certainly glad I have done it. I will trade financial freedom for consumer items, any day of the week. You are right. It all boils down to what is most important to you. It can be a diversification strategy too, paying off the mortgage, because real estate is a different market and doesn’t necessarily move in tandem with capital markets. This was a well-written and comprehensive post flipping both sides of the coin. I will be sure to share this with our online community as this is a question we get quite frequently. Great post! Hey, I just stopped by this page from Yahoo and just wanted to take a moment to say thanks for the advice that you’ve provided. I have to say that I am guilty of #6 in the “DON’T” category. I am the sole breadwinner and we don’t have life insurance yet. I don’t know why I’ve been dragging my feet but I have. Your other reasons are very sound as well. We have a ton of student loan debt higher than our mortgage. We need to work on that first and then it will lead to paying off other things. Don’t delay on getting some kind of life insurance, Jerry – especially if you have a family that is depending on you. a paid for home 100% of the time can not be foreclosed on. Paying off your home frees up lots of money in your budget for giving and saving and investing. A paid for home for which the property taxes are not paid yearly can and will easily be foreclosed on. While it will not be a bank taking the home, it will be no comfort to know that the local government owns your house. LOL…. our property tax and SID fees ( SID is basically city taxes…suburban improvement distict) TOTAL ( TOTAL!) a whopping $247.08 a year… so I dont think there is any fear of being foreclosed on if my house if paid off. … sure beats the devilish property taxes we paid up in Illinois. OMG!!!! Total $247.08 taxes a year! Which state and city do you live in? I’m retired and need to consider moving there? Love this topic. I don’t plan to pay off my mortgage until I retire. I like having more reasons to work. Without a mortgage, life would be too easy and earning money would be pointless! lol. Actually, for those folks out there with financially stable situations, large, low cost mortgage debt is a good thing. If you have a mortgage with a 5% interest rate, and you can invest that borrowed money at 7%, you are making money on your mortgage. That said, this idea is not for those with any other higher interest rate debt or without an emergency fund, retirement fund, college savings for the kids etc. @Barb, could you explain how you’re “making money on your mortgage”. Way behind on making correct financial choices for my future. Currently working full time, with the opportunity to be fully vested in 2012 (a 10 yr requirement 2002 to 2012), None other past jobs that I have had in the last40 years offer any pension with the exception of current job. Early in my adult life my pension was in the education field, left to start a family, never to return on a full time basis. In the years following,my work then consisted of sales and marketing, raising 4 children,early death of spouse, then for a period of time the sole support of self and children and eventually, secretarial (current)Do not have any options other than Social Security and minimal retirement,less than $1,000. per month. Savings has been depleted by differen family emergencies and poor management and foresight. Nice one. Just goes to show there is more than one way to skin the cat – that is why it is called personal finance. It is good you brought into light the factors that sway the decision one way or the other. You forgot the tax deduction. Not a reason to have a home loan mind you, but if you are in a high taxed and make a high income, it’s one of the last deductions you have. IMHO the cut off for pre-paying your mortgage is around 8% (before tax savings) as it is pretty hard to beat that investing in the stock market. At current mortgage rates, it almost makes no sense in most cases. As you get older, near retirement and the deductions decrease it makes sense to pay off. i can agree with a few points on both sides of the fence. if you have not taken full advantage of 401k opportunity and have other debt then you should definitely not try to pay off your house. but if you have other debt it would be hard to pay off your house in the first place. if you are getting ready to retire then it makes total sense to pay off your house as you want as few bills as possible to enjoy retirement. That said, today with lending rates sooo low, I don’t think I would pay off a mortgage. Especially if the house you are thinking about purchasing cost more that $250,000. 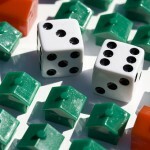 Higher price homes do have larger tax advantages (via itemizing it). But with lower price homes, the standard deduction may high enough to nullify any tax advantage from itemizing the mortgage interest. I guess it all comes down to the borrower’s interest rate, how much the borrower earns (their tax rate), and how debt averse you are. Love the Article. Thoughtful and well presented. I would push towards 6 or even a 9 month contingency fund before I started paying too much extra principal though. Perhaps work toward both with equal payments. Things in our economy are a bit more volatile these days and a bigger buffer can mitigate some of the risks. I personally lean slightly toward paying the mortgage off early with extra principal payments each month (Make sure your lender is applying them immediately. Sometimes it is better to send in the extra principal as a separate transaction…with a note:For Principal Only). There is a huge sense of satisfaction in watching the principal drop. I ALWAYS love this debate as a homeowner, for some reason. I’ve decided to pay off my rental property within 10 years of the first day of ownership, and pay off my primary residence in a normal 30 yr amortizing fashion b/c there is a high likelihood I will move within 10 years. No point locking cash in. Besides, the rate is sub 5%, and I have older CDs at the same level. Great post. I was initially skeptical when I read the title because, like you, I’m pretty much of the mind that you definitely need to aggresively pay it off (provided that you are 1) out of debt, 2) have emergency, and 3) have invested for retirement). However, UR right in that there are some other issues to consider. Thanks for writing a balanced post. @MoneyReasons: I agree. In my case I have the added advantage that, after years of diligent saving, I already have enough money saved up to pay off my mortgage balance at any time if I so desired. At any time I think my latest position is wrong, I can use those savings to pay off the mortgage off. @Sam: Hey, that is clever. I think that is a smart way to split the difference. @Roshawn: At times, I still catch myself doubting my latest course of action. It is a very tough decision to be sure. I like the way you’ve set this up with the different points on both sides of the question. It’s crystalized a thought in my mind, that paying off the mortgage is a worthy goal on the list of financial things to do. But as you’ve listed building an emergency fund, maximizing 401k contribs, paying off non-mortgage debt, etc, paying off the mortgage might be down around #7 or 8 on the list. Worth doing yes, but a high priority, no. To Barb’s point about 5% interest rate and 7% return on investment. Please do tell where one can get a 7% return on their money. CD’s pay around 1% for a year, the stock market is heavily manipulated by High Frequency Trading as well as the Fed’s monetary policy, which makes the stock market about as risky as table games at a casino. Aside from buying low grade corporate debt, i would love know where one can geta 7% return on their money? Also Len, on the inflation issue. I will agree that paying off a mortgage with inflated dollars in the future is in fact good as the dollars are worth less. However, if you have enough money to pay off your mortgage now, isn’t that money in your account going to be worth less to as a result of inflation? So what difference does it make if you pay it off now with saved money? If the money you pay it off is devalued, so is the money you’re saving, right? 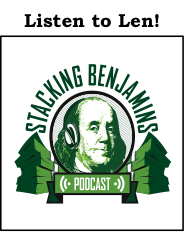 Ben, regarding the inflation issue… that’s only true if you save the money. Ideally, if you really believed high inflation was inevitable down the road, one wouldn’t simply place the extra money they were putting towards the principle in a savings account; the better strategy would be to invest that money or spend it ASAP on real estate, tangible products and/or commodities. Hi, Ben. I think you have to take a little risk and be a little creative if you want to make 7% interest on your money. It is not easy but very possible. For example, i took money out of my house and bought another property that is making 9.5% net income on the price and operating costs of that home. My tenant is actually helping me pay my mortage. By the way my fixed rate is 4.375% for 30-year. I dont feel rushed to pay it off because our mortgage is so low, but i do make extra payment each month ($500). I think as time goes by my net income will increase to help me pay my mortgage even more. My reason for doing this is to get my mortgage payment is low as possible now so i have even more savings and enjoy life while i am young. Like the article in lots of ways. I’ve never understood the reason why they say you need to pay off a credit card that has a higher interest rate first before you pay off a mortgage with a lower rate. Example with my mortgage: The rate on my credit card is 14.9%. My mortgage rate is 6.125%. My mortgage payment is $709/mo but $393 of that is going to pay interest that month. So really I’m paying 55.4% interest that month compared to 14.9%. Well, that’s true. But you’re kind of mixing apples and oranges, Marklan. That conventional wisdom applies only to credit cards. Marklan, your logic makes no sense. Just because 55.4% of a particular payment went to interest does not mean that is your interest rate. How much of a particular payment goes to interest when you pay your credit card? Say you charge $100 on your credit card at 14.9% after one month you would accrue $14.9/12 = $1.24 in interest charges. So, suppose you made a credit card payment of $1.24, then 100% of your payment would be interest and you would never pay your balance off. To really compare the two, figure paying your credit card off in 30 years like your mortgage and see how much money you’d waste, the amount would be staggering! And Len, the ‘conventional wisdom’ does not only apply to credit cards. Compound interest is compound interest. Would you rather charge your house on a credit card at 14.9% interest or get a mortgage at 6.125%, the choice is obvious, as is the choice of which to pay off first. Touche, Glen. ðŸ™‚ I realize compound interest is compound interest. When I wrote that my mind was inexplicably vapor locked into the mindset that ridiculously low mortgage interest rates would be with us forever — and therefore didn’t apply. Thanks for knocking me back to reality. My husband and I both work. We have one son who is 22 in college. College is paid for already. We have no debt except our house which we owe about $319,000 on currently. Our cars are paid for and we have no credit card debt we pay them off each month. I am 40 and my husband is 43 should we pay off our house? I feel like it would give us some financial freedom. #5 I don’t understand. 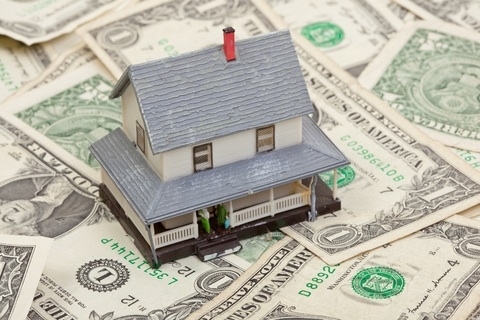 What does it matter if you owe more on your house than it is worth? You still owe the money – unless you are planning on walking away which kill your credit. If you bought the house and agreed on a price you are morally obligated to pay the mortgage and paying off the house should be fine. The house value can always start to come back up. People who lose their jobs — and owe more than their home is worth — can’t access any money they have been contributing towards the extra principle because, by definition, they have no equity in the home. So, for folks who are “underwater” AND without a 100% guaranteed steady stream of income, it makes much more sense using money that would otherwise be going toward extra principle payments into something more liquid, like their emergency savings, or stocks or bonds. I completely the issue of future inflation, with tomorrow’s debt being less costly than today’s debt. However, we elected to pay off our mortgage a few months ago. Our 2010 taxes marked the point of not being able to itemize. Our mortgage interest was light enough that we didn’t even get the tax break any more. My wife retired this year, and I hope to retire within 3 years. The peace of mind played a big part in our decision, along with the fact that it was a guaranteed 5.4% return on our money. Sure, others can just as easily argue for keeping their mortgage payments, staying in debt. Still, there is nothing like being debt free in my opinion. You owe nobody, and nobody owns you. He who dies with the most debt wins? So why pay off my house when I can use the cash today? I’m older but so what if my house isn’t fully paid off when I go? Mathematically investing is the way to go, but if you can pay off your mortgage early and avoid having to make monthly mortgage payments you do so. Paying off your mortgage is the sure thing, investing is not. I noted a poster that cited the “tax deduction” as a justification for having a mortgage. That is just not logical. If your tax rate is 30% (for example), you are spending $100 to save $30. How can that be satisfying to anyone? Because of rapidly changing financial conditions, your articles are USELESS because you choose not to indicate WHAT DATE THE ARTICLE WAS POSTED. This one simple fact renders all of your “advice” MOOT. Opps my bad. I missed the date listed. Sorry! I was looking into paying my mortgage off early but now that I read this, I don’t think it is the best choice I can make. I think I’m going to look wisely and try to make money with the money I have. Thanks for the insight! Thank you for this forum and everyones input. In my situation, I retired early with a $1750 per mon (net) pention, and plan to take 75% of my 401k to purchase a home free and clear. I own my vehicles, and have no other debt. I am 51 years old, and I like the idea of knowing what I will owe every month and if I need to cut back or save more, I have enough flexibilty to make adjustments to my budget. One thing not mentioned, isn’t owning your house just living in your investment ? If I decide to invest or get back in debt, I’m just living in my money maker. Great Article. I completely agree, with point Number 1, under reason to pay it off. I’ve just been contemplating it and my sleep quality is so much better and my stress level is so much lower. I haven’t done it yet, but I know that I can pay it off now and quit my job if I wanted to. I also though have no other debt, a very healthy emergency fund which increases substantially because I take out the huge monthly mortgage payment from my monthly expenses. That’s an immediate no brainer. 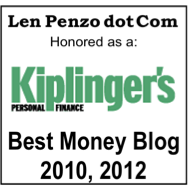 My question is, how many of you have actually earned 8+ percent on your 401Ks over the last 10 years? How may of you have as much in your investment account that you had in 2007? #7. You have a low fixed-rate loan and anticipate a bout of severe inflation. This is tricky because it also depends on if your salary/profits keep up with inflation as well. If you get a 1.5% increase but inflation is 5% you are actually making less money in the future than you did today and you are paying back your mortgage (plus interest) with a reduced salary. And even though inflation is devaluing your mortgage it devalued your salary even moreso. So if you predict inflation but stagnant wages you would probably want to pay off now so that you can use your reduced wages to pay for the more expensive other goods you have to buy. In times of high inflation, Guy, competition forces employer salaries to keep at least try and keep pace with the rate of inflation. As long as we don’t have runaway hyperinflation, over time, workers get their original purchasing power back. Back in 1980, when inflation was peaking at 14 percent or so, before-inflation median income increased by 9 percent — but inflation-adjusted income decreased by only 3 percent! Within four years or so, interest rates were back under control and workers ended up regaining everything they lost during that period of high inflation — and those workers with fixed rate mortgages were the biggest victors. So let me see……i don’t have to pay taxes on the interest I paid to the bank so I saved money cause instead if Uncle Sam getting it I gave it to Uncle Jami Diamond? No my friends it’s all a scam. Nobody is doing you a favor!!!! Before you dismiss Marklan, think about what he just said, ponder it and don’t be afraid to think outside the box. He is almost on to it! The front load ( illegal in many lands) method of interest accrual on mortgages in our mobster banking system not must be taken into account. If staying in house for all what would be thirty years lets say, would be irrelevant. The sooner you would perhaps move out of house within the thirty year period , the more you want to knock down principle. Marklan is getting it. Ask yourself why would that be. ??? ?why might a heloc with simple interest method and interest only option to boot be a great option , if circumstances allow???? Ask why ! If you have financial means and fail safe precautions in place pay it off now! Dont give them basturds an extra penny. Say No thanks to write off! They’re in it together. Remember , practically every member of treasury and fed are former GS and JP Morgan execs. They’ve taken YOUR money, they’re taking your money, they’re planning to take you’re money! You can invest in their casino if you choose, after you have bought yourself out of slavery. Then consider being you own bank as an investment. Ask yourself….. If I were the richest people on earth…. The CEO of one of the most successful and largest corporation in existence…. And I KNEW that if I loaned this hard working American this large sum to buy his house an I KNEW that in 30 years this hard working American would end up on average paying about twice the loaned amount back to me in 30 years …….WOULD I DO IT??? Answer: No! But he would for a lot more! Hmmmmm. Any moron can double investment in 30 yrs!!!Really. So….. Why? Why do they do it?hmmm. Last thought . I swear ( I tend to get excited and ramble). 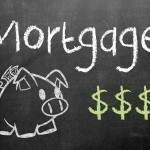 Many say putting extra money into mortgage is financially wrong. What’s the difference between putting under mattress or putting in the walls!?! Good Ol’ Ben Franklin ( who’s spirit lives on in the incredible dilution of US coinage) once said ” A penny saved it a penny earned”. Save 4,5 or 6 percent by not paying it to the banks and you’ve saved 4,5 or 6 percent. And you can sleep in it. And then you can take that check and use it elsewhere . wow, what if you got the big mortgage and put your money in the stock market instead??? hmmm…maybe from 2000-2008. took out a big old mortgage and then invested your money in the stock market. oh, then it crashes?????? hmmmm what now? what if the gov decides, and it is a very good possibility with all this dept out there with our govt, that they no longer allow us to write off our interest of the mortgage?? yes, folks, this is a big possibility next year no matter who gets into office. what if china and europe go into a recession and china lands hard…no write off and boom another stock market crash??? why not just pay the mortgage and have no debt? no debt…what a great idea…no debt!!!!!!! we americans feed off of debt…time to stop the madness!!! I agree with the majority of you that this is a personal decision. I pay extra on my mortgage but I also already contribute 13% to my company 401K, I pay extra on my student loans, I rarely have a credit card balance unless its a 6-12 month same as cash deal, and I can afford the extra payments. If we have hyper inflation we have many other issues besides worrying about money we already spent from paying down our mortgage. The tax savings is insignificant compared to the interest paid. You are not saving money through taxes you are just reducing your expenses. Its better to pay nothing than to get 30% back. Hi Len, the 12 good reasons you presented seems not practical for an average Joe, like me. I always wanted to pay my mortgage so much earlier than any of my friends and colleagues. However, this completely shifts my point-of-view and I have to re-think now and talk to my wife for possible modifications in our current payment. We just started late last year. Well, I always think paying off the home you live in is a number one priority. 401K plan may be good, but then that’s for much later in life. Mortgage is the current thing, debt is limiting your choice i.e. you have to work etc. In terms of emergency fund, my mortgage structure is where I can put money in the mortgage, reduce my interest, but can redraw it anytime I need – without paying anything. This is what most mortgage structure is in Aust, so there’s not much point to save money on the side if I can reduce interest as well as having that money handy should I really need it during the rainy days. Life insurance is very important, and it’s got nothing to do with the mortgage, I just count that as bills. And in terms of tax cut and deduction… you basically get tax cut if you’re losing money. So really, while the ‘idea’ of saving in tax sounds good… in actual fact you’re throwing money down the drain in the form of interest. So in my opinion, choosing whether or not you want to pay off a mortgage is probably more relevant when you have an investment property (or a property your family doesn’t actually live in). I like the security of knowing, whatever happens to financial market i.e. inflation, crashes, changing interest rate – no matter how good they sound mathematically or on paper – my family home is secure. My wife & I have always thought mortgage is a ball-and-chain that restricts you. So, we have paid off our 30 years mortgage within 5+ years and we are very happy about it. If location independent life is in your dreams, having a mortgage or any debt is not the way to go. I just run a quick calculation assuming $300k, 30 years, 5%, no extra payment mortgage. After 10 years, you would have paid $138,298.75 interest and still owe $243,432.50! My advice is that if anyone could pay off their debts early, they should do so. A hypothetical gain somewhere else is what it is “hypothetical”. Tax savings you said? OK, you pay me $1 and get back 30 cents and we call it a deal! I have a question for Len. We bought our house in 2005 when the housing market was at peak for $360,000.00. A year later, we took out an equity for $50,000.00 to pay high balance redit cards and personal loans. As of today, we still owe $405,000.00 on our mortgage. Needles to say, we are underwater on the current market value of the house. (appraised at $145,000.00. Our monthly payment just went up last month from $2,850.00 to $3,200.00. With 2 kids in college and the only sole breadwinner, I was thinking about foreclosing the house and just rent. However, I heard that will stay on my credit report for 7 years. So what would you take on this. your advice is greatly appreciated. Good points, the correct answer for each person may be different. One major factor could be your tax situation. I have my house fully paid and I would not change that for anything. My house value can go up or down and since I am planning on staying it makes no difference to me. With the pay cuts we have taken I am not sure with a mortgage we could make it, but now we have enough to do all the things we need and most of the things we want. We will never be rich, but we have everything we need and we do sleep well! Good ideas, the correct answer for each person may be different. I really enjoyed your article for its balanced perspective. I agree wholeheartedly that this issue has so many variables that there is no cut and dry answer. It is a very personal decision that has as much to do with security and peace of mind as it does with economics. I weighed this issue very carefully just as you did but came to the opposite conclusion. My wife and I decided to focus most of our financial resources on prepaying our mortgage. Next month we will acheive our goal. I have to say that my biggest motivation is working at a job that I absolutely hate. After our mortgage is retired we will shift our focus into creating a “go to hell fund.” thanks again for a thought-provoking piece! I’m really itching to get another investment property for the very reason that mortgage rates are so low, and that I can lock the bank in for 30 years. The mortgage payment will buy a pizza at the end of the term. This is a great blog. I stumbled in last night while researching opinions on this question. I’m 50 and considering paying more aggressively on one of our two rental property mortgages. Have no mortgage on our residence, investing enough for the match in 401k and max in IRAs, already have emergency fund. Now the question is whether to invest extra in a taxable account or pay down one or both rental property mortgages faster. One of the drivers for me to do so is that while we have assets, our debt to income ratio is high,so getting a new mortgage now if we needed one could be problematic. A big part of what has me leaning against is that once cash is deployed toward the mortgage, it’s locked into that. With mutual funds, we can sell them if an opportunity comes along like a chance to buy nice land, or like another mortgage at today’s interest rates. Note sure how long we’ll actually own these, but don’t get the math well enough to know whther that’s really even a consideration. Thanks again for a useful and interesting site. Those are very sound reasons to not pay off your mortgage early. We would like to and have just over $100,000 left on our mortgage. It feels good to know what we’ve paid a big portion of it already. And, we have renters in there so they are covering our mortgage, taxes and insurance and that’s been a huge blessing. It may lead us to consider another property. Is it true that if instead of paying additional principal payments to the lender, you saved the same amount yourself and earned whatever interest, you could then prepay the balance at some point with no downside? You would come out the same either way? Cecilia, there are several variables that will result in slightly different answers (one example: whether you itemize your taxes or take the standard deduction alters the calculus a bit), but all things being equal, assuming you earned returns from your investments equivalent to the interest rate on your mortgage, then yes, you’d come out essentially the same. I didn’t see anyone mention the time value of money. If I pay extra on my mortgage, I pay down the principle, thus reducing overall interest. Using the time value of money, if I saved 150,000 in interest over 15 years, for example, by paying an extra 740 on my mortgage each month (hypothetical numbers…I did the math before, but don’t have it handy), then I could do the math to see what return I would have to get on the 740 monthly payment (if I were to invest I instead of paying down the mortgage). For me, I would have to make like 6.5 percent interest with very little risk to come out the same financially as putting the extra torward my mortgage…and that is with my 3.25 percent interest rate at 15 yrs. Item 7 and 8 in the “Why You Shouldn’t” column addresses the time value of money with respect to the impacts of high inflation, and investment returns, respectively. I have met so many people that thought paying off their fixed-interest mortgage was a good idea only to find out that after three or four years of paying down their mortgage, they lost their job, and needed the money they had already used to pay the mortgage down. What could they do? They couldn’t qualify for a second mortgage without a job. One real life example: a couple paid an extra $500 per month towards principal and three years later, the husband lost his job. The $18,000 they paid towards principal was desperately needed to live on until the husband found another job but they couldn’t get to it, couldn’t refinance, couldn’t get a second. They ended up borrowing against credit cards at very high rates. Agreed, Stockerblog. In fact, those who want to pay off their mortgage early may be better served by simply taking the extra payments and putting them aside in a separate savings account. When they get enough money saved up to pay off the mortgage, then they could do so. That strategy would certainly avoid the situations you speak of. All about pay off mortgage loan early. thanks to share it . which is really good about that..
Good concepts here, thanks for sharing! 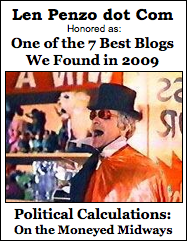 Sweet blog, Len! I found you while surfing on Yahoo News. I have two hard loans, One is for 3k and the other for 9k.I was going to pay the first now, but i think i will buy 5 oz of gold. If the whole economy collapses as it will very soon, most of the experts predict 2016, i will make enough profits to pay both at one, best case scenario if as You say, it will wiped off the better.Do you think I am off the base? Patricio: No, I do not think you are off base … but that is an unconventional decision you and you alone will have to make. I will say this: If I was gainfully and securely employed with no worries whatsoever about being laid off, I would buy the gold and pay the loans down slowly — but that’s just me. I just want to say thanks for this, Len. It was really helpful! P.S. … Love your blog! I just wanted to say I love reading through your blog, Len, and look forward to all your posts! Keep up the fantastic work! Len: Just wanted to say I love your blog! Keep up the great work. Well done, Len! Thank you for such a balanced and informative article. Greetings from Carolina, Len! I’m bored to death at work so I decided to check out your site on my iphone during lunch break. I am sure this article has touched all the internet people. Its a really really fastidious post on how to pay the mortgage. I’m sure you’re right, Alfie … er, I think. This is the best article I have read on this debate anywhere on the Internet. Well done, Len. Just want you to know I have also become an Insider. Good stuff. Thanks for the balanced post Len. Well done. Hey there, Len! This is my 1st comment here so I just wanted to give a quick shout out and say I genuinely enjoy reading your posts. They’re really informative and I learn a lot! Plenty of useful info here. Thanks, Len. I’m sending this to my mom who I know is currently struggling with this very question. I truly love your website!!! Glad Google brought me here. 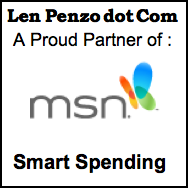 Hi Len, I am so glad I found your website! I really found you by error, while I was browsing on Yahoo for something else. I’m glad you found it too, Fanny! 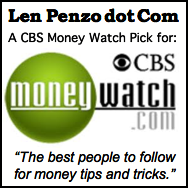 “Inflation is a debtor’s best friend”…….Len Penzo. Yeah…..ONLY if the rate of increase in your income exceeds the rate of inflation. For most folks, income lags inflation by decades, which is why more and more find too much month left at the end of their pay check….and why inflation and debt are major problems. If inflation keeps up, personally I’m going to have to consider getting 2.3 wives just to break even…..ahahhahaaaa. Being an investor and entrepreneur, I always kept my primary house with a mortgage to use that money elsewhere to make better return but after selling a property with a huge profit recently, I decided to pay it off in April. I am eyeing slowing down soon in terms of my business work life (never retire as I enjoy working). When I ran the actual numbers, it made sense vs. buying another rental property or two with those proceeds. It actually feels good too beyond the financial sense. Peace of mind. Owing no one is a good feeling. To me, there is no right or wrong answer on this topic – completely a personal decision. Wow! There was a lot of useful information here, Len. Thank you for your effort! So far wife and I (married 37 years so far) paid off 2 houses early. The first was bought in the early 80’s, the mortgage rate was 12-1/4 pct—ouch! We then refinanced to lower rates and 15 year term, each time, not taking any equity out. We were “Debt Free In ’93” which lasted about a year and a half. We sold that house (1100 sf) and used the proceeds for a down payment on a larger house (2600sf). The larger house (bought 1994) had a 30-year term which we paid off in 18 years (in 2012). Refinanced that several times for lower rates, again never took any equity out. Our greatest mortgage payment was $811 a month. Just think….we don’t have to make 12 years of mortgage payments. Added an extra $400 for principle to each payment month after month, and it really knocked down the balance, painlessly. Also, neither of us have ever carried a credit card balance….always paid off the monthly bill. One reason was I work in aerospace, zero job security (the comment is “In aerospace you’re paid through Friday—except they don’t wait until Friday”) so the idea was save every penny possible in 401k and investments, while knocking down the loan amount. Saw too many people living it up on debt and payments, and get whacked by layoffs. 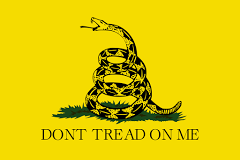 By a miracle never missed a paycheck in 30 years, so being financially conservative paid off. Got laid off in 2012, since then have had 7 jobs in 6 years, all aerospace. Wife has worked as a special ed teacher since we got married. It was a solid, zero-risk investment. We never missed the extra money towards the loan balance. People thought we were crazy, now they think we were smart. From the sale of our first house, we had over 50% for the down payment. Didn’t have to juggle to pay off the first house loan and get the second house loan approved. Looming retirement does not scare us. As always, Your Mileage Will Vary,” and this is what we did. Great post! Thank you, Len. Nice post. I learned something new today.